Craig Hill is a lifetime Alaskan now living in Galena for the past 36 years. 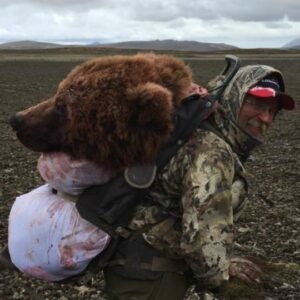 His deep knowledge and understanding of Alaska's large game makes Craig one of the premiere hunting guides in the area. "This is my backyard", Craig says. "I took my first moose at 13 just 5 miles away from our current permanent hunting camp". Craig started guiding in 1997 and loves every minute of it. Craig keeps his operation small because he likes being hands on in the hunts he guides. "I will take you to the places I've been hunting for the last 36 years". Hunting is a passion that I want to pass along to other avid hunters, if it ever becomes a job that's when I'll hang up my hat.". AlaskaChallenge Guide Service is a small operation and Craig intends for it to stay that way. Personal guide should be personal.